Although murder and mayhem have been a common ingredient in the movies virtually since the medium was invented, the nature of death itself has more often been avoided by the mainstream. From the point of view of the Production Code, the subject was fraught with potential controversy because of its religious implications. There were of course many weepies about characters dying nobly from various diseases, but here death was largely a matter of physical dissolution and romantic complication. When death itself as an experience was approached, it was likely to be through the devices of fantasy, a displacement which mitigated the danger of giving offence. When the experience of death was directly addressed, it was typically used in morality plays in which characters were given an opportunity to review their lives and come to terms with and atone for their personal failings. From Outward Bound (1930, and its remake Between Two Worlds in 1943), through Liliom (Frank Borzage, 1930; Fritz Lang, 1934; and, as Carousel, Henry King, 1956), to A Guy Named Joe (1943) and It’s a Wonderful Life (1946), characters are given one more chance from beyond the grave to make right some poor decision or error which marred their lives. In these things, Heaven and the afterlife are a kind of secular plot device. Not surprisingly, with the omnipresence of death during World War Two, this theme took on a greater urgency as lives were cut short, leaving so much unfinished. Michael Powell and Emeric Pressburger transformed this subject into one of their earliest post-war masterpieces, A Matter of Life and Death (1946), in which the unfairness of wartime death becomes a matter for momentous arguments in a Heavenly court. While this deeply romantic film remains ambiguous about the “reality” of the afterlife (it’s possibly all a dream in the mind of a pilot teetering on the brink of death), several other movies take Heaven (and Hell) for granted, using elements of fantasy and comedy to make them palatable to contemporary moral guardians. Indeed, comedy and fantasy occasionally allowed filmmakers to push boundaries which might otherwise be rigidly upheld. 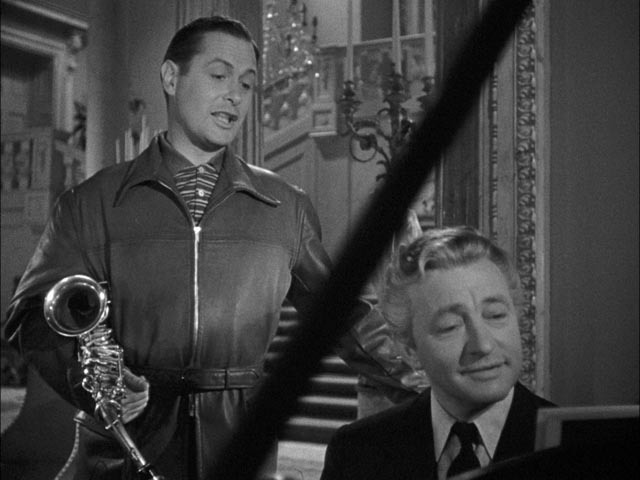 In Heaven Can Wait, Ernst Lubitsch got away with a great deal in terms of its protagonist’s philandering as he recounts his life to Satan himself (known in the film only as “His Excellency”, played with great style by Laird Cregar) in an attempt to justify his admittance to Hell. One of the most successful, and resonant, of these “comedies of death” is Alexander Hall’s Here Comes Mr. Jordan (1941), scripted by Sidney Buchman and Seton I. Miller from an unproduced play by Harry Segall. Although the play was written in the late ‘30s, and the film produced and released before U.S. entry into the war, what seems like a light and witty romantic comedy turns out to have much darker and quite surprising undercurrents which by the end suggest a means for moving beyond the sudden and arbitrary nature of wartime death. 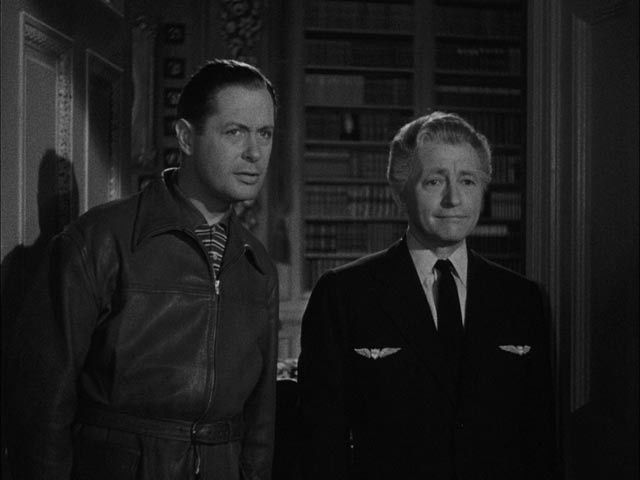 Robert Montgomery, in an atypical turn as Joe Pendleton, a working class New York boxer who is heading towards a title bout, crashes in his private plane and finds himself being guided through limbo by Messenger 7013 (Edward Everett Horton), an eager new collector of the souls of the recent dead. Joe argues that he isn’t dead, that he has to get back to New York to make his fight date. 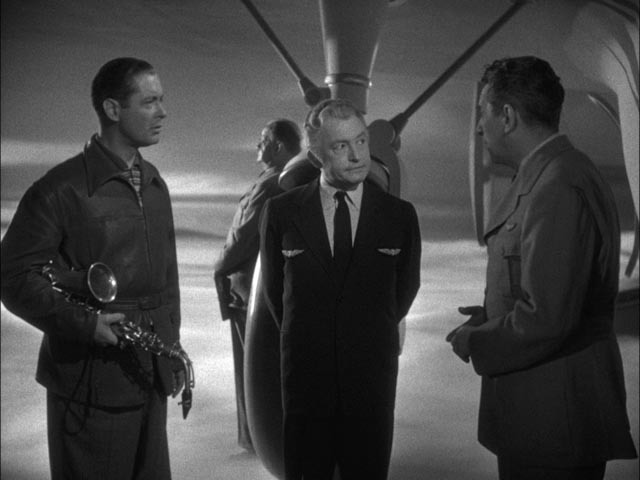 At the door of the transport plane preparing to take the most recent group of souls on the next stage of their journey, Joe tries to convince the man in charge, Mr. Jordan (Claude Rains), that a mistake has been made. A quick check reveals that this is indeed the case. Messenger 7013 was a bit too eager to spare Joe the pain of death and snatched him before the plane hit the ground; he was not meant to die. And so Mr. Jordan sends the pair back home so Joe can return to his body. 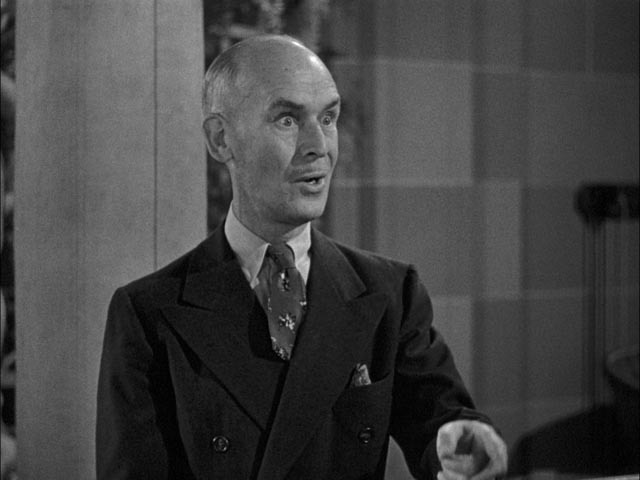 Unfortunately, Joe’s manager Max Corkle (James Gleason) has already had the body cremated. It’s up to Mr. Jordan to help Joe find a suitable substitute body. After a world-spanning search, they end up back in New York at the mansion of crooked businessman Bruce Farnsworth. As Joe balks at the idea of entering such a body, it becomes apparent that at that very moment Bruce is upstairs being murdered in the bathtub by his wife Julia (Rita Johnson) and her lover, Bruce’s private secretary Tony Abbott (John Emery). The scene of Joe’s argument with Mr. Jordan about the murder is one of the film’s most amusing, with Joe’s simple morality bumping up against Mr. Jordan’s wry equanimity about the inevitability of death in whatever form it takes. The details are of little interest to this heavenly functionary. Joe’s refusal to accept Bruce’s body is finally overcome with the appearance of Bette Logan (Evelyn Keyes), who has come to plead for the crook to do the right thing and help her father get out of jail for a financial crime Bruce’s own company committed. Joe is immediately attracted to Bette and accepts “temporary” residence in the body so he can help her. Initially, his promise to help is viewed suspiciously by Bette, who believes he’s mocking her; but once he owns up publicly to his own (or rather Bruce’s) dishonesty and returns millions to all the investors who had been bilked, she falls for him in return. 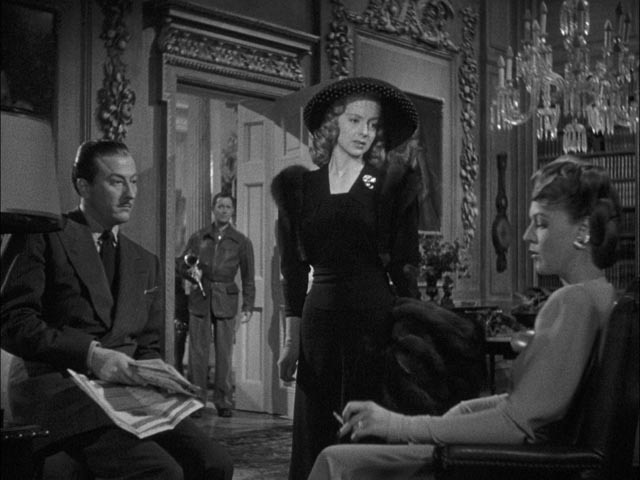 From a Production Code point of view, there are a number of interesting elements here, beginning with the rather casual treatment of Julia and Abbott’s affair and the resulting murder of Bruce; and then, although we in the audience see only Joe, to all the other characters he is Bruce and so the romance he embarks on with Bette is itself illicit, yet treated entirely sympathetically. The fantasy permits an end-run around otherwise well-policed moral issues. In addition, this blurring of identity lays the groundwork for what will become by the end the film’s most sophisticated treatment of death and survival. Although director Alexander Hall didn’t have a particularly distinguished career and his work here seems on the surface efficient rather than inspired, his handling of what are actually fairly complicated mechanisms of identity – we see and hear Joe at all times, while the other characters see and hear Bruce – seems casually effortless, without ever resorting to such obvious devices as mirror shots revealing the “real” Bruce. In addition, the scenes in which Mr. Jordan is present as Joe interacts with other characters are equally well-staged, while one of the film’s comic highlights involves Max, now convinced that Joe is inside Bruce’s body and that the invisible Mr. Jordan is real, trying to converse with Mr. Jordan even though he’s actually left the room already. This lightness of comic touch creates a deceptive impression which adds a deeply unsettling emotional impact to the film’s final scenes. (SPOILERS) After Bruce is killed a second time, Joe is moved again, this time into the body of K.O. Murdoch, the boxer he was initially scheduled to fight himself. Murdoch has been killed in the ring because he refused to take a dive; but reanimated by Joe, he wins the title. Joe’s honesty melds with Murdoch’s integrity and he fires his crooked trainer and hires the honest Corkle. But then the film, in its final moments, takes an unexpected turn. Produced by the second-string studio Columbia, home of Frank Capra, Here Comes Mr. Jordan has many of the attributes of that director’s work – it is well-designed by the very prolific Lionel Banks, who had begun his career as art director with Leo McCarey’s The Awful Truth (1937) and went on to contribute to key films by Capra, Howard Hawks and others; the fine black-and-white photography is by Capra’s long-time cameraman Joseph Walker; and the editor is Viola Lawrence, whose many other credits include Hawks’ Only Angels Have Wings, Welles’ The Lady From Shanghai, and Ray’s In a Lonely Place. All this excellent studio craft provides solid support for a witty and fast-paced script and an excellent cast. Montgomery was an interesting actor, though never a star like, say, Bogart or Cagney. In one of the disk’s supplements, an audio interview from 1991 in which film historian Ronald Haver talks at length with the actor’s daughter, Elizabeth Montgomery, the idea is put forward that Montgomery’s wide range – from sophisticated comedy (Noel Coward’s Private Lives and Alfred Hitchcock’s Mr. And Mrs. Smith), to horror/suspense (Emlyn Williams’ Night Must Fall) and noirish tough guy (Lady In the Lake and Ride the Pink Horse, both of which he directed himself), to his moving “self-portrait” as the torpedo boat officer in John Ford’s They Were Expendable – represented a kind of quest to find the “right” screen persona. But as his cheerful, perhaps slightly dim boxer Joe Pendleton suggests, he may well have been one of those great character actors who occasionally rise to take on leading roles, disappearing into their characters rather than imposing a particular star persona on them. That characteristic lends the air of an ensemble to the film’s cast; while Joe is obviously at the centre, he exists amidst a vivid collection of finely detailed comic characters. Claude Rains is his usual wry, urbane self, observing the doings of mere mortals with sympathetic amusement; Edward Everett Horton is fussy and blustery as the overeager Messenger who inadvertently sets off the whole plot dilemma and then impatiently holds Joe responsible for all the ensuing complications; James Gleason is lively and inventive as Joe’s good-natured manager; and Evelyn Keyes is appealing as Bette Logan. 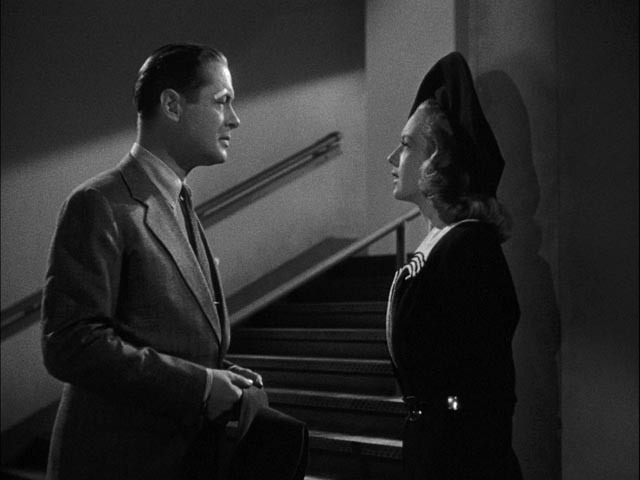 It turns out that Montgomery and Keyes did not get along very well on the shoot and it’s a real tribute to their professionalism and acting skills that there’s genuine screen chemistry between Joe and Bette despite off-screen friction. Criterion’s 2K transfer from a fine-grain positive print brings out the details of contrast and the texture of the film’s grain and the soundtrack gives clarity to the fast-paced dialogue. In addition to the audio interview with Elizabeth Montgomery (1:19:42), which is illuminating about Robert Montgomery’s career and personality, there is a conversation between critic Michael Sragow and filmmaker/distributor Michael Schlesinger (32:13) in which the pair enthuse about the film and recount their own experiences from first encountering it in childhood to a later more sophisticated understanding of its themes. A Lux Radio Theatre adaptation from 1942 condenses the story to 52:45, with many of the original cast reprising their roles, but with Montgomery replaced by Cary Grant, who had originally been intended to star in the film. Listening to this, I had a greater appreciation for what Montgomery brought to the film as Grant comes across as a bit too settled into a familiar comic routine. Montgomery gives more life to the part. There is also a trailer (1:48) and the booklet essay is by Farran Smith Nehme. This entry was posted in Review and tagged Actors, Blu-Ray, Classics, Comedy, Criterion, Directors. Bookmark the permalink. I think Cary Grant was over rated. You’ve told me that before, Grant. He was, of course, a movie star, which is not always the same thing as an actor. He did make some terrific movies for which his persona was appropriate – he did some excellent work for Howard Hawks, Only Angels Have Wings and Bringing Up Baby in particular (I’ve always found His Girl Friday irritatingly grating) – but his range was definitely limited.